We design menus to complement the wines, using quality ingredients from suppliers such as Brindisa or Neal’s Yard, fresh, well sourced, and simply cooked. We suggest wine matches for all menu items. We love wine, and all that’s enjoyable around wine: good food, good friends, good conversation. We take particular pride in our selection of bins, and in presenting you with an extensive range of wines by the glass. 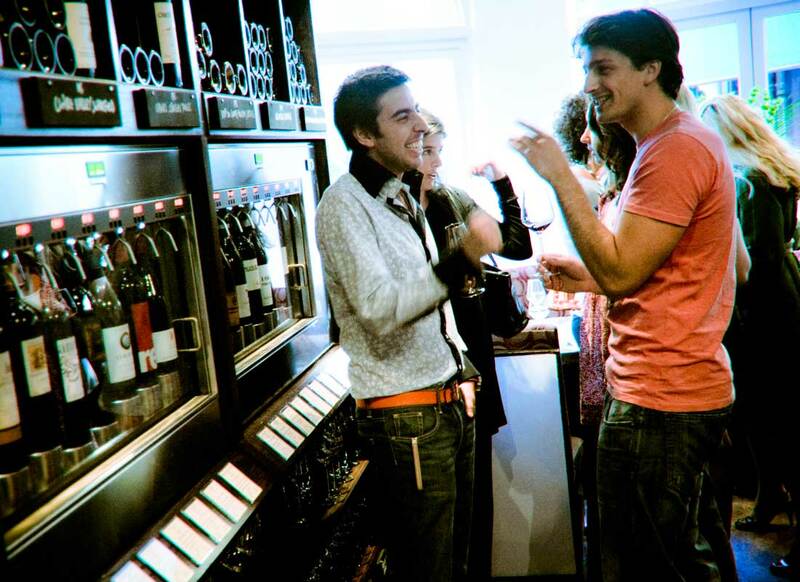 We encourage you to sample those armed with a pre-paid card, with or without help from our wine specialists. We also stock a cracking selection of sparkling and sweet wines, beers and spirits. Food is there to make the wines even more enjoyable! Try some British cheeses or Spanish meats with your choice of wine, or go along with the wine matches on our main menu. Since we opened, we have acquired a reputation as one of London’s best wine bars, and as a focal point of the local dining scene in London. The restaurant is comfortable and relaxed, and seats another 36. The British and European food focuses on quality ingredients, well sourced, cooked without excessive fuss, and with a modern twist on much-loved classics.